Indian Passport Holders can Travel 60 Countries around the world.it is depend on the entry.because some entry visa on arrival. What is the visa on arrival? Visa on arrival mean when you get in Country ( Airport ) than they will issue visa on arrival. What is the E.Visa ? Let me Explain how is the different between visa on arrival and E-Visa. Electric Visa will be issue online from your 2Email address and Visa on arrival will be issue on arrival when you get airport. What is the Visa not Required ? 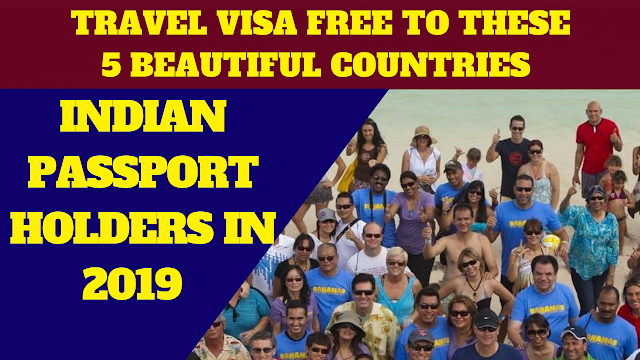 Visa not required means you can travel to country without obtain visa. Indonesia Popular destination in the world and Bali also famous place in the world because mostly people come to visit bali to enjoy beautiful place.You can go to Indonesia without obtaining visa and you can stay 30 days in Indonesia without visa. Bhutan beautiful destination for the tourism because mostly Buddhist would like to visit this nation and also would like to come for happiest time.the capital city Thimphu and best place for Buddhist. You Also can go to MAURITIUS for 90 days and you also can extend this stay in MAURITIUS. Nepal offer visa free travel and you can stay in Nepal without obtaining.Capital City of Nepal,Kathmandu.You can entry Nepal freely. You can go to SEYCHELLES without obtaining visa and you can get visa on arrival and you can stay 30 days.